Driven by the belief that a vibrant woman radiates potential for personal and planetary transformation, Vibrant Souls works to elevate ancient wisdom for women's wellness. With that purpose at heart, we offer the original Devi Steam™, the Devi Steam Seat™ and an assortment of delicious, nourishing teas. We're committed to transforming the world through women's health. Driven by the belief that a vibrant woman radiates potential for personal and planetary transformation, Vibrant Souls works to elevate ancient wisdom for women's wellness. With that purpose at heart, we offer the original Devi Steam™, the Devi Steam Seat™ and an assortment of delicious, nourishing teas. Vibrant Souls is proud to have launched the first commercially available blend of yoni steaming herbs to the world in 2014, and to have changed the lives of thousands of women since. We operate our business with a deep reverence for women, the Earth and indigenous cultures, believing that the wisdom of each of these are a source of hope and healing in our world today. We're dedicated to changing the world through women's health, and we're committed to using only the highest quality ingredients in our blends because we know they have the greatest impact on our health. With a dedication to organic, fair trade and small business, Vibrant Souls is passionate about finding creative ways to support communities and the planet. 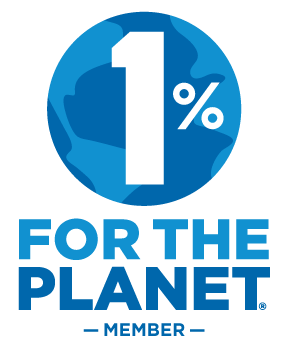 We are members of 1% For the Planet, an alliance of businesses financially committed to supporting a healthy planet, and are also members of United Plant Savers, which works to protect native medicinal plants of the United States and Canada, ensuring an abundant, renewable supply of medicinal plants for generations to come. Sierra Brashear is dedicated to ensuring a bright future for humanity and the Earth. She believes that in order for humanity to activate our full potential, women in particular must be well physically, spiritually and emotionally. By tuning in to our unique womb wisdom, leveraging our feminine power and intellect, and drawing on our ancestral wisdom, we will discover contemporary ways to heal ourselves, our families and our planet. Through Vibrant Souls, Sierra works with ancient herbal remedies such as yoni steaming as a means to elevate ancient women's wisdom and access the healing power of plant medicine, supporting women at any stage of life to live the highest expression of their wellbeing. She also provides belly henna and placenta encapsulation for mamas in Boulder, Colorado and beyond. Sierra is a graduate of a 2,000+ contact hours Ayurvedic Practitioner program, where she was blessed to learn with world renowned Ayurvedic Doctor Alakananda Ma. She now practices Ayurveda with Cultivate Balance, providing private wellness consultations and online Ayurveda courses that support women to reawaken their true vitality and radiance. Sierra invites you to deepen your wellness by taking the Basic Balance Challenge. Jill and Foster lovingly craft each order that leaves the Vibrant Souls apothecary. Since all of our products are created and packaged by hand, you can be sure there is healing intention poured in at every step of the way. Vibrant Souls is proud to be family owned and operated!